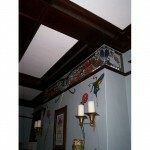 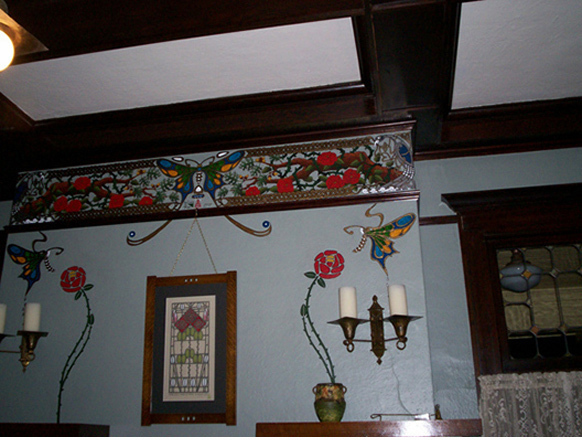 This elemental frieze was derived by our client’s love of oaks, roses and birds. 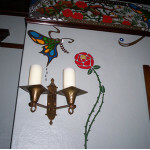 Mighty oak branches are wrapped by winding red roses and represent the earth element. 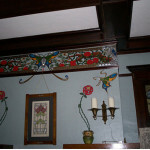 The composition is framed by the wind element represented by a glorious Art Nouveau butterfly, gilt celtic interlace, and birds.